What Does Indigo See In WOW Air? It has been quite the rollercoaster ride for Iceland’s WOW Air in the last couple of weeks. After seeing its acquisition by Icelandair fall through, it seemed like WOW might be heading toward the graveyard. Yet just as things looked their bleakest, a white knight — Indigo Partners — arrived to bail the airline out. I’m trying to figure out why. You’ll remember that it was less than a month ago that Icelandair had agreed to purchase WOW for almost nothing. WOW had grown quickly with its ultra low cost carrier model from its Keflavik hub in Iceland. But its growth was chaotic with some questionable decisions (like acquiring widebodies and flying very thin routes). The growth continued unabated, despite big losses. After the summer, it became clear that WOW would be in trouble, especially entering the off-peak northern winter season. With a shut down possible, the Icelandair deal showed up at the right time. I thought this was a great deal. For Icelandair, it would eliminate a competitor and swiftly rationalize capacity in Iceland. For WOW, well, it would give the airline’s owner at least something to show for his wild growth plan. It was better than failing. Then the deal hit a snag. That snag? The wheels fell off the business. As WOW’s owner wrote to bondholders, pretty much everything went wrong. Or, at least, the problems accelerated. It recently had to return four airplanes to lessors including two of its three widebodies just to stay afloat. In the end, WOW wasn’t able to hold up its end of the bargain, so the deal with Icelandair was called off. At this point, it seemed like just a matter of time before WOW shut down. Then Indigo Partners swooped in. We don’t know details, but Indigo is planning on investing in WOW. Assuming the deal closes, WOW will have gotten very lucky here. And Icelandair, well, it can’t be happy. So just what is Indigo thinking? Indigo, as you may know, is run by Bill Franke, former CEO of America West. Indigo used to own a piece of Spirit until it decided to invest in Frontier instead. It also owns or has owned pieces of other ultra low cost carriers around the world, including — most notably for this story — Wizz Air in Eastern Europe. Just what that vision is remains the biggest question. Indigo has seen great success with Wizz in Europe. That airline flies Airbus narrowbodies and has grown dramatically in recent years. Unlike WOW, it has grown profitably. Maybe Indigo wants to take WOW back to its roots flying those same Airbus narrowbodies east and west from Iceland, fitting it into the mold that has done so well for Wizz. The airline could also benefit from connectivity with Wizz in Europe and potentially Frontier in the US. Could that be the plan? It’s safe to assume that we won’t know for sure until the deal closes… IF the deal closes. But Indigo doesn’t just throw money at failing airlines to prop them up. It has to have a plan. 19 Responses to What Does Indigo See In WOW Air? I thought the deal failed because Icelandair didn’t have time to pass it with their investors, rather than a specific failing on the part of WOW. But yes, WOW have lucked out. That meme of BF on the beach, all buffed and tanned: priceless! Thanks for the morning giggle, Cranky! I’m confused… Indigo is in India. What is this Indigo that you are talking about in the US? To your point, some sort of tie up between Wizz Air, Frontier and WOW would have significant implications and could result in a significant transatlantic threat to the established carriers. Frontier and Wizz would provide a lot of feed into those routes crossing the pond. Unfortunately, with a connection required a KEF, any trip will take a minimum of one connection, if not two doing from DEN. Love the idea but I think this only works if Frontier starts building up a larger east coast hub. Can the A321 make it to KEF from DEN? KEF-DEN (3568 mi) is JUST at the end of the A321’s published range (3,697mi), but that’s for a more spacious layout than WOW would want to use, and there’s likely to be issues with winds on the way back, so I’m betting they wouldn’t risk it. Frontier’s got a fair # of flights out of Philly already – so they might try to make that work (and it’s an international airport, though they might also try for PVD (though frankly, I wouldn’t be surprised if the Boston area became oversaturated with European low-cost flights on neos and 737 Maxs in the next couple years). What about moving the A330s out of KEF and instead using them to connect the Wizz and Frontier (and maybe even Volaris) hubs? I wonder if that might be the plan…like closing Milwaukee when Midwest was bought etc etc. the Frontier route map bears no resemblace to what it was back in the day. Why would WOW have to keep Iceland as it’s base? Eeech the thought of travel on WOW or Frontier makes my stomach churn. Very interesting and right questions asked, what is the hidden treasure? Many last minute timetable adjustments for the months to come. With the 16 remaining planes, where two of them seem to be leased out (TF-GPA & TF-MOM) effectively WOW has 14 planes left. That works for the moment but is getting very tight for the Christmas period and the new services to Orlando & New Delhi. Los Angeles has been operated the last three days with an A321 and a refueling stop in Edmonton, meaning that passengers coming from LAX are missing all European connections and have to stay an additional day in Iceland. Chicago is since a week now operated with a same day return of the aircraft, instead of being in Chicago 23 hours. The schedule is now much tighter, less flight time and less turn around time in Chicago, resulting this morning in a 2 hour delay and therefore all connections missed. Orlando is too far to be operated with an A321 so potentially more problems coming up there. Anybody knows when the A330-900 are scheduled to be delivered? Franke wasn’t in the airline industry until he came to America West. It’s interesting to see how many influential people in the current airline industry have ties to that little airline. Is it possible this is about the data? Indigo is smart, but their bread and butter is in short-haul airlines. 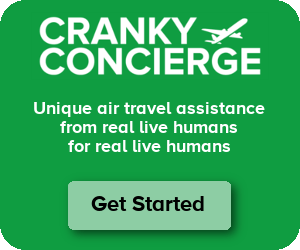 Perhaps this is a cheap way to get data that could help their other airlines’ growth plans. Or maybe the plan is to buy Icelandair after giving it a few kicks via Wow. It’s fun to wildly speculate. What is the latest news on One Jet? Predictably, absolutely no news. Still not flying even though they should have been selling tickets more than two months ago. Thank you for your time. I so enjoy your articles. Once again enjoy your holiday season with family and friends. if you’re in the mood to read croatian, a very logical explanation is set out in this article (https://tangosix.rs/2018/04/12/kolumna-alena-scurica-island-strateski-bitan-za-indigo-partners-8-dio-globalnog-sukoba/). looks like what you were wondering is most likely the truth as this author has been keeping an eye indigo partners for a while – the gist is to add wow to the well-run wizz (needing more boost for the initiated westward expansion via VIE and LTN, already flying to KEF from 10 destinations, for no apparent reason till now) and link them with frontier, volaris, jetsmart, also owned or controlled by indigo partners, into what they call a “new revolution” with A320s and A321s. this will probably be even more of a revolution with LR and ULR versions of the aircraft. pretty easy — its see money! Buy low sell high. Indigo is a PE firm. Its all about IRR.